Susan is available Tuesdays and Thursdays. Call or text 330-352-4477 to book your appointment with Susan. Alicia has been an Advanced Esthetician since 2012. She knows that healthy skin is a reflection of what you feed your body, inside and out. Alicia uses only the best organic facial products in her treatments. These products do not contain any harmful ingredients. Eminence Organic Skincare is made with fresh fruit pulps, plants and exotic spices, which makes them incredibly rich in nutrients. Alicia is known for her quick and proficient full body waxing treatments including Brazilian waxing. 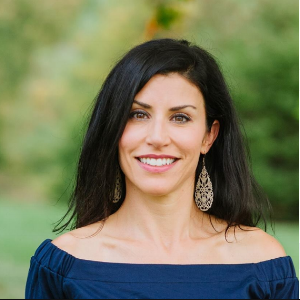 She currently has three passions in her life....... 1) savoring moments with her husband, two children and her two pups, 2) Pilates/yoga, and 3) helping her clients feel beautiful both inside and out! A personalized facial treatment dedicated to achieving relaxation, stress relief and radiant skin. Repair and restore your skin to renew your complexion. Always customized and perfect for any skin type. Whether you just need a refresher, have a special occasion or a specific problem, this accelerated treatment was designed to achieve immediate results. Treat and prevent sun damage and visibly reduce the appearance of age and sun spots. Focuses on exfoliation, cleaning clogged pores, healing and hydration. Alicia is available Wednesday, Friday, and Saturday. Katie is a Master Esthetician of 15 years and a Training Specialist for Eminence Organic Skin Care. 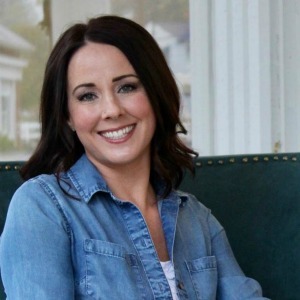 Katie has worked for Eminence for 10 years in the spa industry and has also worked as a Medical Esthetician where she advanced her qualifications in numerous medical-grade skin care lines and services. Her experience in the medical field led her back to her true passion of educating others on the importance of healthy, organic skin care. Katie uses only Eminence Organic Skin Care in her customized facial treatments because of the nutrient-rich ingredients and incredible results she has helped so many achieve. Katie is also known for her art in natural, beautiful brow shaping and offers a full menu of waxing services. Katie’s passions extend beyond the esthetic field to include nature, the ocean, and the outdoors, all of which she shares with her husband and three children. Katie is available Tuesday and Thursday. Skin care consultations are complimentary. Rebecca has been a Registered Nurse since 2008 and is the certified by American Academy of Facial Esthetics (AAFE) as a Nurse Injector. She takes pride in helping patients feel good about themselves and holds herself to a high level of honesty, integrity and dedication to her patients. Her wide range of knowledge in aesthetic treatments makes her a great resource for any type of question involving skin treatments and products. She takes the time to listen to her patient’s concerns and desires. After a personalized evaluation she sets proper expectations, and creates a treatment plan. She has a great eagerness for ensuring that all of her patients leave her office happy with the services that they have received. If you are looking for a non-surgical facelift or you just want to smooth fine lines or fill in stubborn deep set wrinkles, an injectable treatment may be what is best for you. Call to set up a free consultation. When Rebecca is not educating or treating her patients, she enjoys spending time with her husband, their six children, extended family and friends. She enjoys being outdoors, cooking/baking and the arts.  Xeomin® and Dysport® are available and are essentially alternatives to Botox® at our MedSpa as they work in a similar manner.  Any treatment in this injectable family, patients typically see full results in 10-14 days and typically last for 3-6 months (results can last longer with repeat subsequent administrations). Injectables that are used to fill in weakened facial features and return volume and smoothness to your face. Many dermal fillers are designed not only to replace the collagen your body loses due to the aging process but also to stimulate your body to create new collagen. Fillers are designed to quickly restore volume, lift the face, relieve wrinkles and rejuvenate the skin. Some results are immediate and can last months to over a year. Each of these fillers has unique capabilities and effectiveness, during evaluation recommendations will be made to best meet your aesthetic needs. Please call Rebecca for details or questions at 440-915-4248 or click the link below to schedule your appointment today! then we are not growing into our greatness." Fueled by a mission to impact and transform lives, she uses yoga and essential oils to heal, to enlighten, and to uplift. As an essential oils guru, yoga teacher and meditation guide, she has been able to offer clients a new way of healing from the inside out. 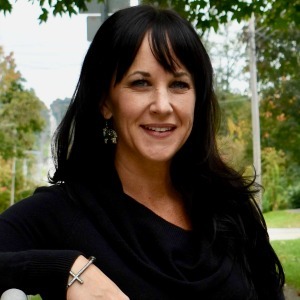 Marisa has a BS in Kinesiology and an MBA with emphasis in Health Care Administration. She is an RYT200 Yoga Instructor, Mad Dogg Spinning Instructor, and ISSA Personal Trainer. She recently moved to NE Ohio from Colorado and enjoys life with her supportive husband and their four spunky kids. Marisa's yoga and essential oil class schedule can be found here. Want to be a part of the spa family at Marigold?